City Council Meetings begin at 5:00 PM on the 2nd and 4th Tuesdays of each month in the City Hall. To speak before the City Council on a matter of importance fill out and submit this Agenda Request Form. 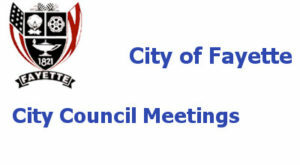 Click on the links below to view the Agenda and Minutes from the City Council Meetings.